There is no need to worry about driving on the left had side of the road or negotiating our narrow country roads while in Scotland. 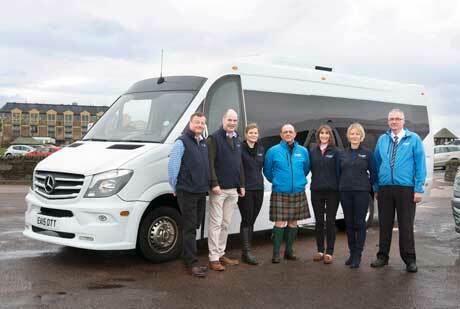 One of our experienced and friendly Drivers is at your service to transport you in comfort and allow you to sit back and enjoy the dramatic Scottish scenery. For groups of 2 to 4 people you will be driven in spacious Mercedes Viano vans (or similar model) which are equipped with leather upholstered Captain seats which allow plenty of leg room. 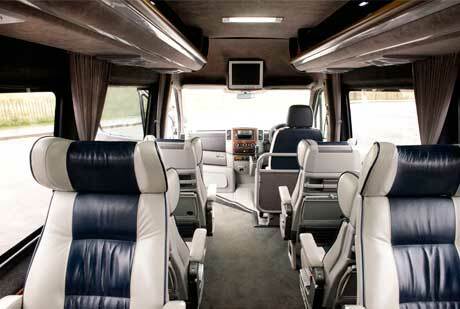 For larger parties we arrange luxury mini coaches complete with air-conditioning, onboard refrigerator, tables and complimentary soft drinks and water. More important than the vehicle itself is the dedication of your Driver, who in addition to his driving duties, will be on hand to provide guidance throughout day time hours. Maggie’s effervescent personality and incredible knowledge of our beautiful country is the key ingredient for any Drumscot itinerary. Her special interests include the Highlands and Islands of Scotland along with Art and Architecture to name a few. A fantastic addition to any tour, Liz is wonderfully informed and entertaining, not to mention so eager to share our stunning country with anyone who will let her! She retains a keen interest in the flora and fauna and the natural environment of Scotland. Helen’s passion and enthusiasm for Scotland is second to none! Her interests include social and cultural history and she is a great story-teller. She loves meeting new groups and has told us that she knows she has the best job in the world!